The idea of the brand name ”Urgula" came from the Kondyor Massif - world-only circular mountain system ​located in Eastern Siberia. This natural phenomenon forms perfect circle and its true scale can be seen only from space. The local people of Siberia (the Evenkis and the Yakuts) always considered this place to be sacred and called it Urgula. The river flowing out of it forms placer mineral deposits, which are full of precious platinum. However Kondyor Massif is neither an impact crater nor a volcano and the origin of it still remains unknown. We were inspired by this mysterious phenomenon, symbolic importance and unique beauty of the mountain. So after all we decided to create our own precious Urgula - as unique as nature itself! 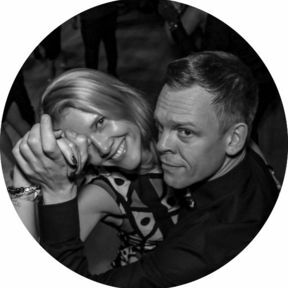 Online boutique store ”Urgula" founded in Helsinki Finland 2018 by Tanja & Pavel – passionate social dancers. The original idea was a simple one — to create a fashion orientated dance- and activewear brand incorporating modern and unique graphics. That gave birth to the brand Urgula, which devotion is to create thoughtfully and exquisitely designed activewear pieces. Urgula online store is offering a wide selection of leisure & sport clothes at high quality for all ages. All are unique and suit many styles of dance & active life!